Well, I have not posted here in a WHILE, but that's because I've been waiting for something worthy and I think by now there's something ready. 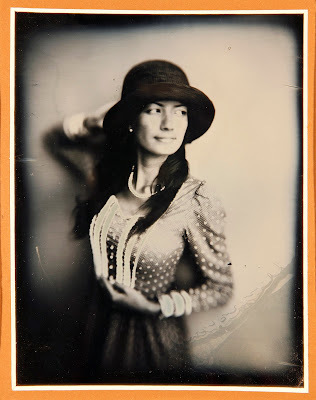 Over the past few months, along with shooting a lot of wet plate work of course, I have been delving into the wonderful world of daguerreotype photography. It has been a rough ride, but persistence is in my nature when it comes to photography, so I pushed on despite many failures. First a few brief details for those unfamiliar with the history and technical aspects of daguerreotype photography. 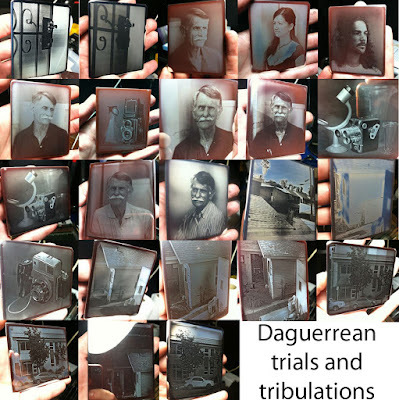 Daguerreotype was THE first truly successful photographic technique and it is of course named after it's inventor, a Frenchman Louis Daguerre. He worked it out in mid to late 1830s and on August 19th 1839 disclosed the secret to the world after the French government agreed to purchase it and in return gave him a lifetime stipend. The whole concept of 'photography' took the world by storm of course and daguerreotype technique became popular very fast. It remained as the only commercially viable method of making photographic images through 1840s and into early 1850s - at that point it was overtaken by the new wet plate collodion method, which was faster, easier, cheaper and also let multiple images to be printed by allowing one to make negatives on clear glass. 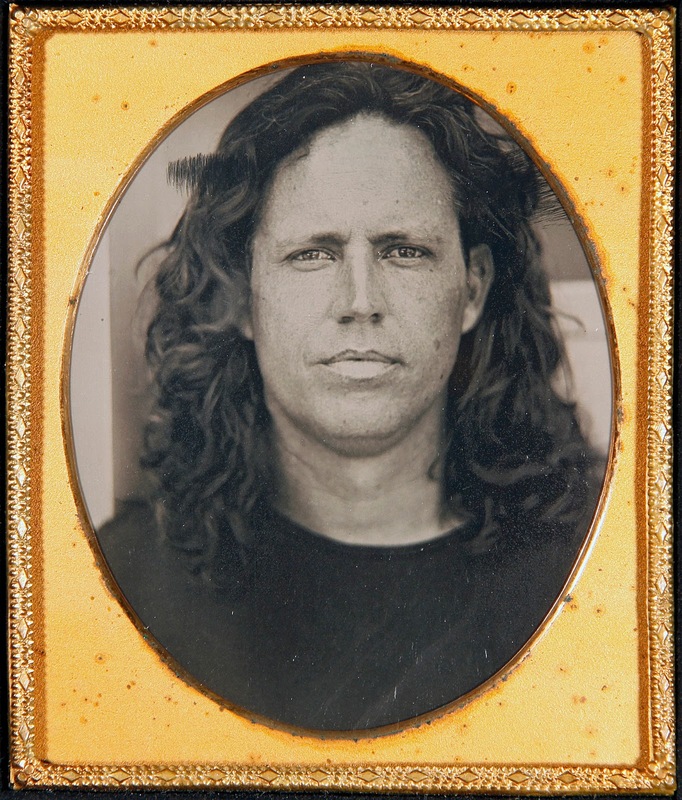 In historic writings one can find the way photographers of the time spoke of daguerreotype images. Even though the image is somewhat hard to see, due to the highly reflective nature of the plate, a lot of contemporaries write with deep love about little silver plates and sound nostalgic for the uniquely beautiful and almost dimensional look those images possess. Due to that some daguerrean artists remained true to the craft even into 1880s and 90s. 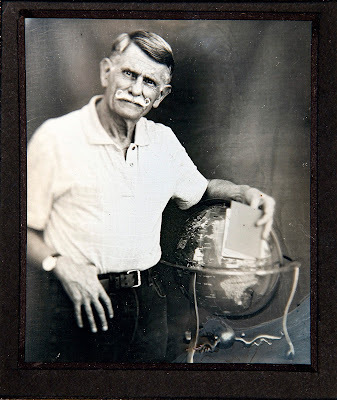 Very few people practiced daguerreotypes through the 20th century and even today there is probably less than 50 people worldwide who work with the true method on any sort of regular basis. Briefly the technique of making a plate can be summarized as follows. A plate of pure silver is polished to as near mirror surface as possible. Traditionally copper plates were covered with silver by cold-cladding, today electroplated method is also used. The plate is then first exposed to fumes of iodine, then bromine and then iodine again. 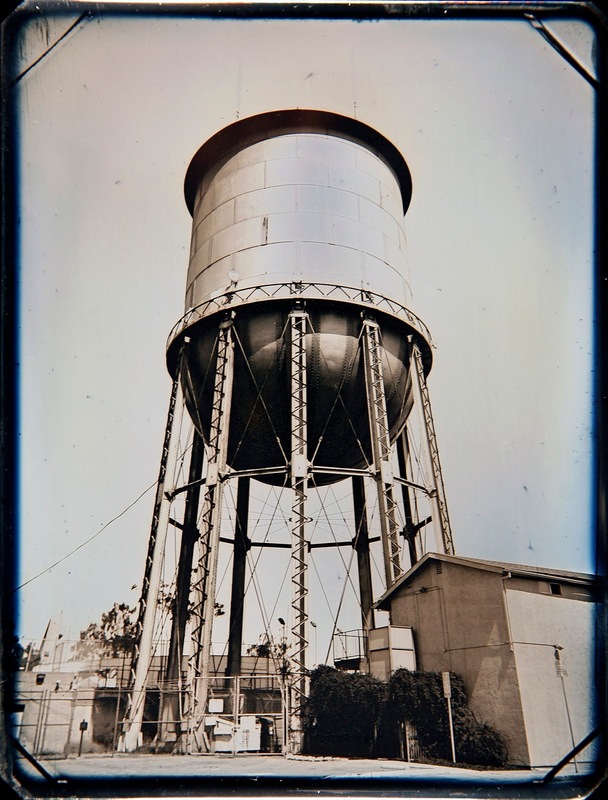 Side note - originally Daguerre used only fumes of iodine, but within a few years American photographers discovered that bromine fumes made the plates much more sensitive to light and also gave a more pleasing contrast. After fuming the plate is placed in a camera for exposure - exposures of many minutes when only iodine is used turn into seconds or even less when bromine is introduced. After exposure the development is carried out by placing the plate over fumes of hot mercury (nasty stuff and one of the reasons not too many folks play around with this amazing technique). The way the mercury acts upon the halides of silver is still somewhat of a mystery (at least to me for sure...), but it draws up those particles exposed to enough light and creates a silver-mercury amalgam, which basically is what makes up the final image. Next step is to remove the rest of the silver bromides and iodides and that is done with good old sodium thiosulfate (commonly known as Hypo). The last step is to gild the plate. Gilding is done with gold chloride and heat and acts upon the image in a few different ways: brightens the highlights giving them a warmer golden tone, deepens the shadows, minimizes oxidation over time thus making the image much more permanent and also physically toughens the surface, before gilding the image is extremely fragile and a light swipe with a soft feather will take it right off the plate. Finally the plate is sealed in an air-tight enclosure (under glass with a mat to separate the two) to restrict air from coming in contact with it, again to make it last longer without oxidizing. I've always been extremely curious about this historically important and visually stunning method of image-production, but my love for daguerreotypes was really sparked in 2012, when, while being on my first cross country trip aboard The Photo Palace Bus, I had the extreme pleasure and luck of meeting Rob McElroy in Buffalo NY. You can read about that incredible adventure and see some images HERE and then a followup HERE. Aside from being simply an amazing human being, Rob is one of the very best in the world when it comes to this form of art and I was truly astounded by his work and observing the whole process. The bug got it's bite and since then I have been dreaming about making my own plates. 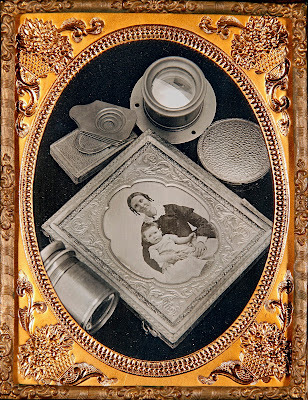 Daguerreotype equipment though is extremely expensive - the safety that must be factored into mercury pots and low demand leading to very small number of people producing this stuff all contribute to the cost factor, and that's not even to mention the plates - pure silver isn't cheap... 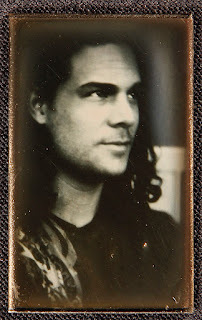 So my desire to become a daguerreotype artist seemed far off and nearly unattainable. In 2012 though I wasn't even doing wet plate.... Well in 2013 I learned to worked with collodion, got acquainted with the community and lo and behold - one of the folks who was living right in San Diego did both collodion and daguerreotypes! Race Gentry is now a good friend of mine and we hang out as often as his busy life and school schedule lets us. He has been kind enough to let me use his equipment to start learning and also shared a wealth of knowledge that he accumulated over the years both from experience and by reading historic literature on the subject. Right now I'm in the final stages of gathering up all my own equipment, but I know that Race and I will be friends regardless - he's just too much fun to hang out with. So, with Race's help I started making becquerel plates last year. I made some good ones rather quickly as it's not all that complicated of a technique. Here are couple of my early Becquerel plates. The lack of fine tonality and long exposures (25 seconds on the plates you see above) made me become rather bored rather quickly. Don't know why I took so long after that boredom set in to start pursuing success with real mercury daguerreotypes, but I only really dedicated myself to this task a couple of months ago. During that time there were periods when I made multiple images a day for a week or two straight and then there were times when discouraged I took breaks only to return with more force later. I'm not going to try to make is sound like obtaining a decent-looking plate is the hardest thing in the world. I'm sure climbing Mt. Everest to the summit, running 100m under 10sec, truly understanding women or making a mentally challenged squirrel be able to teach calculus are all things that are harder. 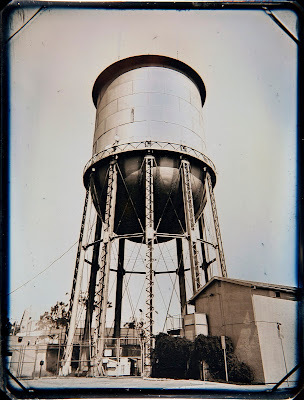 However daguerreotypes have their challenges and quirks and overcoming (or at least sidestepping) them have proven to be quite a feat for yours truly. First there's buffing - that darn plate must be so perfect and so clean and so much like a mirror that sometimes it seemed that I'll never get it... Then there's fuming - it's done by visual inspection and there's only a small window of particular hues of pink that works best and to top that off the proportion of iodine to bromine that is used in achieving that hue reflects on both speed of the plate and contrast of the final image. Next there's development - that's relatively straight forward, one just have to find an optimal combination of mercury temperature and development time that doesn't go too long and lets mercury globs to accumulate in the shadow areas (like the ones you see in the below image of a box camera in the center - that one's under-exposed so in vain I tried pushing development, something that you just can't do with daguerreotypes). OH, and then, after you might have gotten the best results you have seen in your plates you have to gild that thing and THAT is one conniving and malicious step I tell you! The most perfect plate can go to being absolute garbage right in front of your eyes literally in a span of a few seconds and there's not a single thing you can do to stop that once it starts happening... To top it all off almost every single practicing daguerreotype image maker I have asked seems to have their own unique workflow that works for them - sometimes steps vary only slightly from one person to another and in other instance it made me wonder if they are even working on the same technique.... All advice was taken with stride and a grain of salt. OK - time for some images. All 5 of the good (and in the eyes of some that may be a stretch of the word 'good') images you see below are copied after gilding. Here's a an image I did yesterday - I believe it's my best mercury plate so far and I was extremely excited when gilding didn't ruin it completely (some back spots in the sky did show up, but I have a faint hunch about what may have caused that, so let's see if in the next few sessions I can prevent them from occurring again). Now let's quickly compare the above plate to just a few of the plates that I deemed worthy of copying with my phone camera during the long and winding road of learning the craft. Here's is the first portrait I was truly happy with - even the gilding spared it from irregularities. To top it off this is the first daguerreotype plate that I sold, so thank you very much Robert Matheson! Oh, and of course here's Fred - the wonderfully patient man of kind temper who resides across the stairs form my darkroom. In the compilation of failed images above you see how many times he posed for me and not once was he reluctant to do so. He is a true gentleman and a scholar. It is unfortunate that during gilding the stain on bottom right decided to appear, but otherwise I believe it's a solid plate in all respects. And here's a still life composition - my little homage to the old-times, the photographers who came before me, the tools they used and the people who passed in front of their lenses. I would like to extend my deepest gratitude to not only the people mentioned above as being instrumental in shortening my learning curve, but to all those who may or may not read this, but have patiently helped me along the way by providing tips and sharing their methods online. There are too many of You to mention and I'm not even going to try for the fear of forgetting some of You, but I believe You know who You are - THANK YOU! 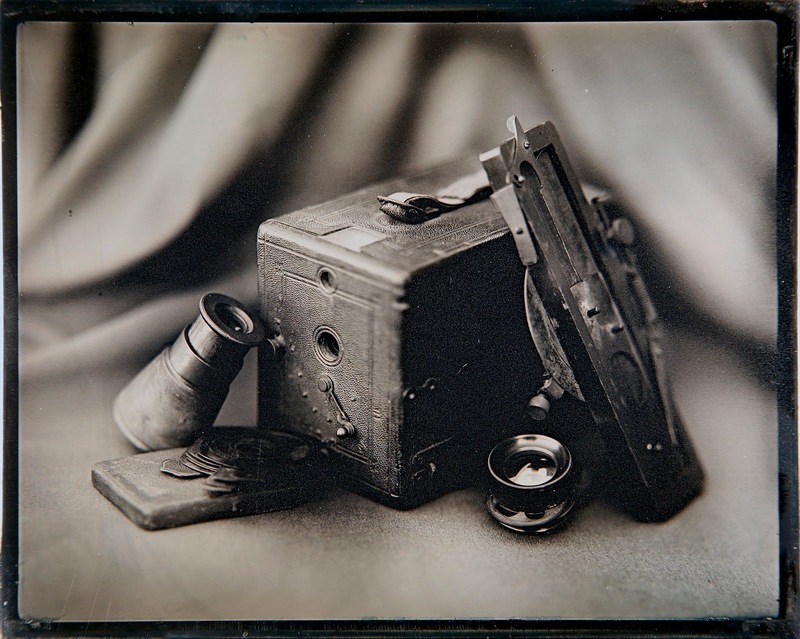 • Transforming my portable wet plate dark box to be safe for daguerreotype production and going on location with this technique. Thanks to my readers as well!